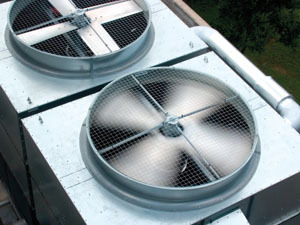 Quality HVAC and plumbing service is exactly what we offer here at Ace Contractors. If you live in the Solana Beach area, you are fortunate enough to be within reach of one of the best HVAC services firms in Southern California. Ask our customers. There are over 250,000 that call us again and again for quality care. They even recommend us to family and friends. Will you? Call to find out! 1-888-231-1086! The same above goes for regular AC care. When you air conditioning unit is not properly cleaned, it can cause problems for indoor air quality and even make you sick! When it is clogged with dirt and debris it has to work harder and thereby uses more energy. Your bill increases each and every month. You must receive preventative maintenance to avoid these costly problems. We are available to you 24 hours a day and 7 days a week. Schedule routine maintenance for your AC now! When the cooler months approach, residential and commercial customers are constantly calling about problems with their heater or furnace. These issues can be avoided when you perform regular service on the unit throughout the year. Check out our tips page for information of what you can do on your own or call a trained team member at Ace Contractors for superior-level professional assistance. Remember: don’t wait until the last minute to call. 24-hour emergency service is available. Many Solana Beach homeowners and business owners neglectfully forget to service their water heaters until a problem arises. We’re here to be the guys you call regularly. Regular service on your old or new unit will ensure better functioning for you and your property. Don’t neglect your water heater!